-Everyone has a go-to, for most it's Maple. 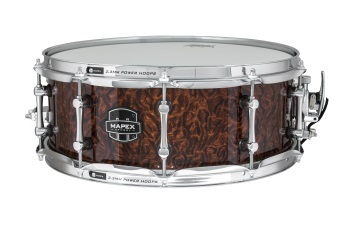 This 8-ply 100% Maple drum is as systematic, predictable and lethal as Dillinger ever was. -The SONIClear(TM) Bearing Edge (standard on all Armory wood shell models) allows all drumheads to sit flat and tune effortlessly and respond with a stronger fundamental pitch.